I admit that I don’t know what it was like to live in England after World War 1, or the kind of medical care available to the average man at that period in history. I do know, perhaps only because I have been able to evaluate what has since happened there and indeed throughout the western civilized world, that the expansion of government has eliminated individual liberty and power as it provides “temporary safety”. The National Health Service in England, according to Wikipedia, is the publicly funded national healthcare system for England and one of the four National Health Services for each constituent country of the United Kingdom. It is the largest single-payer healthcare system in the world. Primarily funded through the general taxation system and overseen by the Department of Health, NHS England provides healthcare to all legal English residents, with most services free at the point of use. Some services, such as emergency treatment and treatment of infectious diseases are free for everyone, including visitors. The NHS has had problems meeting objectives in the past few years, and there have been stories of patients dying due to neglect or mistreatment, or being denied treatment entirely. In the end, unless a patient is able to afford private health care, he is at the mercy of the State. The State decides what care will be provided/denied, when that care will be provided, and the patients and their families have little say. I imagine that the average patient with average complaints is fairly happy about the care they receive. It is those who are the outliers – the very young, the very old, those who are “defective” – who are often left out of this “happy families” scenario. I’m sure that a man or woman who previously struggled financially to pay for dental or eye care, or had little or no insurance when they needed routine surgery, would be delighted to receive these services “free”. 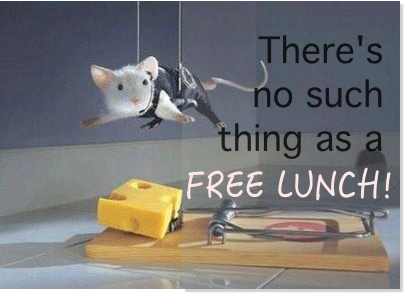 But then, we all know that nothing worthwhile is ever “free”. For years, I’ve watched government take control of our lives, and their argument is always the same. Fewer costs, greater efficiency. But the result is the same too. Less control by the people, more control by the state, until the individuals and their wishes count for nothing. That is what I consider my duty to resist. Indeed, I think that many people in Britain believe that the National Health Service is wonderful, but there are also many who see the truth of Violet’s prediction. Now, about Alfie. What possible justification can there be for denying the child access to care by another qualified hospital in another country when that care will cost the NHS nothing? What right does the State have to prevent the parents of this child from seeking qualified care for their son as they see fit? After all, the parents aren’t suggesting some strange treatment by witch doctors, but care by a fine hospital in Rome that is staffed by well-qualified doctors and nurses. The country of Italy has made the child a citizen in order to facilitate his care in their country, and a medical transport stands ready in England to take him there. The response by the hospital where Alfie is a virtual prisoner was to remove his ventilator, saying that he would die within minutes, and when he didn’t die, his food was withdrawn. This is not palliative care; it is murder. The courts have ruled that this treatment is in the “best interests of the child”. I just read that the hospital resumed feeding after 36 hours. Without all of the public attention to this situation, I wonder if they would have otherwise? Police are stationed in the hospital to prevent his parents from taking him home or anywhere else, as they consider them a “flight risk”. 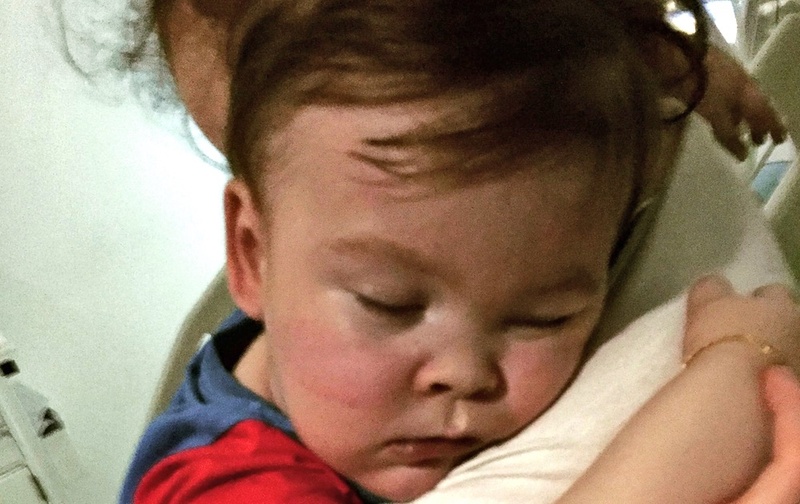 According to the Associated Press, Alfie’s case has drawn international attention, with officials in largely Catholic Poland and Italy implicitly criticizing Britain’s courts and state-run National Health Service. Emotions have run high over the case, with a band of supporters known as “Alfie’s Army” protesting regularly outside the hospital, at times trying to storm the entrance. The hospital increased its security, and police said they were monitoring social media posts about the case for malicious communications. Yes, that’s right. 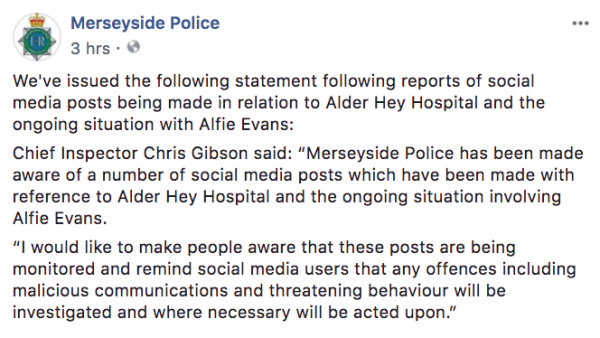 Those who criticize the NHS and the State are being “monitored”, and local law enforcement has threatened to ‘act upon’ individuals commenting about the situation on social media. Yes, indeed. Those of us in the United States who, unlike any other country, are protected by a Bill of Rights, must protect those rights with our lives, if necessary, or we will lose them. God gave us those rights, and we must not trade them for comfort or safety. This entry was posted in Government, History, News, The Culture, Uncategorized. Bookmark the permalink. The hospital has had this child in their custody for almost a year, and yet they don’t know exactly what is wrong with him? If that is true, how can they be sure that he is destined to die? Because they are The State, and they know what’s best for you. ::spits:: Power intoxicates and corrupts, and there’s nothing some people like better than playing God. You’d think the NHS would be all over this. Send the kid out of the country, let him get treated somewhere else. It’s not like they’ve got money to burn, after all, NHS is so broke they discussed not washing sheets between patients. You wanna made a first -world nation have third-world health care? Nationalize it. But don’t think this won’t happen in America. It already has. Look at that girl in Boston who was kidnapped by the hospital because some d#mb@ss Dutch psychologist decided the girl’s health problems were all in her head. And that was all it took. The hospital got a judge to agree with Dr. D#mb@ss and they kidnapped the girl. Anymore I think if I had kids, the only way I would take them to a hospital is with my attorney’s number on speed dial in my phone. Is that the young girl who was doing well on her treatment until the stupid psychologist had her kidnapped? Then they kept her for a year or so with NO treatment and she got to where she couldn’t walk? They wouldn’t even let her see her parents and sisters, I believe. They finally got her out. I hope she was able to recover. Yes. Justina Pellieter was seen by some idiot with a god complex who decided her disease was all in her head and got the hospital – who should have known better if they were actually medical professionals, a fact which I now doubt – to petition to kidnap her, and a judge agreed. She was returned home after 16 months. Her family is suing. I hope when the case is settled, they own the hospital. They say they aren’t suing out of revenge, but I don’t care if revenge is the motive as long as the doctors lose their licenses and the hospital goes bankrupt. I stay as far away from them as possible. When my son was about 9, he developed a sore throat and had been exposed to strep, so I took him to the dr. to get a test. The PA sent out a test, wouldn’t do the quick one, wrote a prescription for antibiotics and told me to give them to him until the test came back. If it was negative, I could just stop. I asked if that wasn’t the wrong thing to do. She got aggressive with me, so I said “fine”, got the prescription filled, didn’t give him any and waited for the test to come back. It was negative. He was homeschooled, so there was no chance of him exposing anyone else. But, I was nervous about the medical complex. PAs like her are one of the many, many reasons antibiotic resistant bacteria become more common every day. When I was in high school, I wanted to get on the pump. I had not been on one before but with the advent of continuous glucose monitors, I wanted to get on it. My endocrinologist at the time said I would have to go before a committee who would decide if I could get on the pump. My father nearly lost his mind, especially when the doctor assured him that the hospital was only doing because they loved me very much. I don’t know when that is every appropriate to say to a parent. It certainly didn’t fly well with my father. (I think I got my dislike of doctors with god complexes from him.) My mother agreed with him but thinks that it’s because the doctors are used to dealing with either uniformed or disconnected parents. I got a new endocrinologist at a different medical facility after that. My new doctor didn’t sit around stupidly waiting for a committee either – he looked at my blood sugars and said I needed a pump. And I got a pump very quickly after that. Yep. That is the case. I’m on my knees! This is truly evil what they are doing to this baby! There can only be one reason for the Gov. to refuse to let him go to Italy, and that is to show that they have total control over his life. Each decision NOT to allow proper care of Alfie inside England or elsewhere has been made by humans devoted to evil. Murder is in their hearts. The SANCTITY of life is completely unimportant to them. And, again, the child is undiagnosed, yet the doctors insist that he will die from this undiagnosed condition. “…a doctor treating Alfie, who cannot be named for legal reasons, said that for Alfie to be allowed home would require a “sea change” in attitude from the child’s family, and they feared that in the “worst case” they would try to take the boy abroad. “Worst case” for whom, may I ask? Never mind, I know. “Worst case” for the hospital and the NHS…like any of them care for Alfie and his parents.